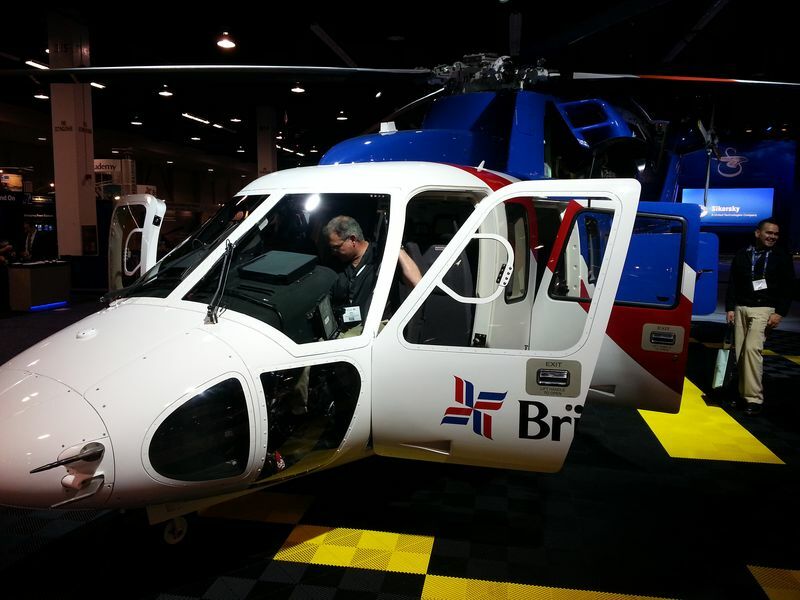 This year we decided to attend the Heli-Expo in Anaheim, CA. We booked our tickets and hotel about a month before the event and were excited to go to California and get some sun, leaving the wet and nasty Oregon winter weather for a few days. When we arrived in Los Angeles we took our shuttle to the hotel and after checking in decided to wander around to check out the surroundings. 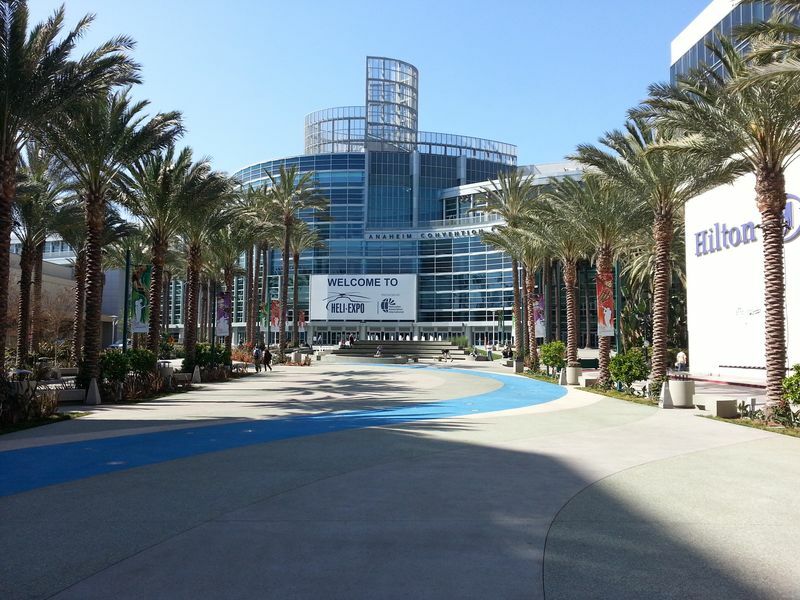 After grabbing some lunch we found out that the Convention Center was only about a 10 minute walk away from our hotel. Our schedule began with some courses that started actually one day before the convention opened its doors so to attend those we walked over to the Convention Center. Almost nobody was there other than some of the exibitors which were finishing setting up their booths. We also decided to do the rotor safety challenge and attend some of the safety courses like “Autorotational Success”, “CFIT: Avoiding the Unexpected Sudden Stop” or “Safety Management Systems for Small-Fleet or Private Operators”. There were a lot more courses and we attended quite a few and completed the safety challenge and got our certificates. 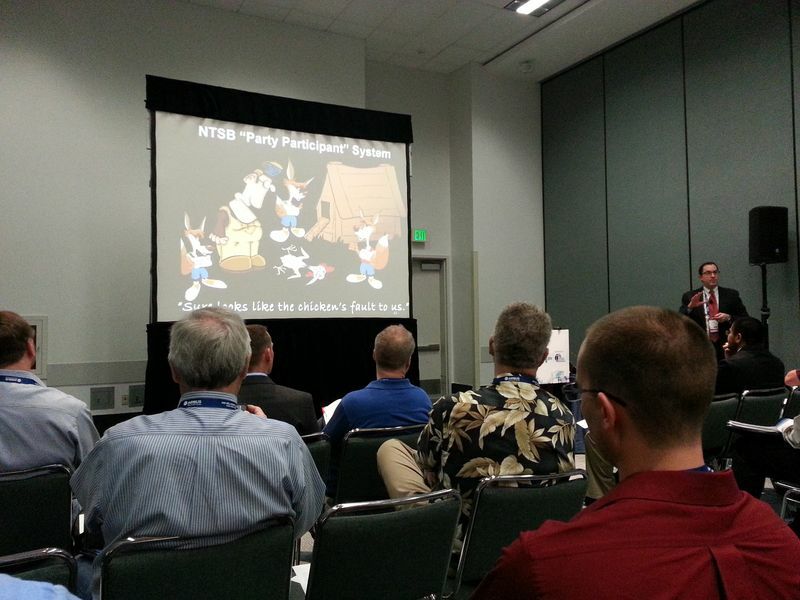 Another forum that we attended was the “Meet the Regulators” where you could ask questions to the FAA and they commented on some of the newest regulations like the new HEMS rule that affects almost all helicopter companies. It was interesting to hear how controversial that topic is. 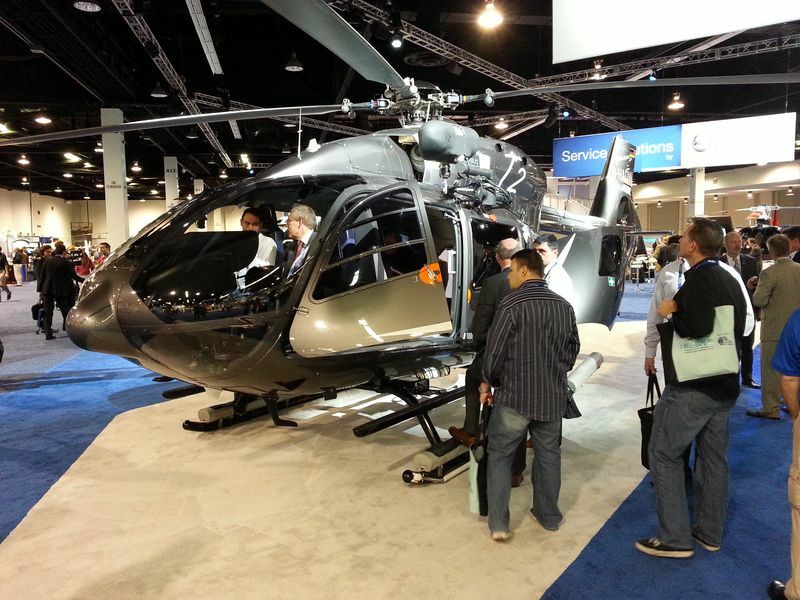 Finally we also explored the exhibition floor with a lot of helicopter companies showing off their equipment. 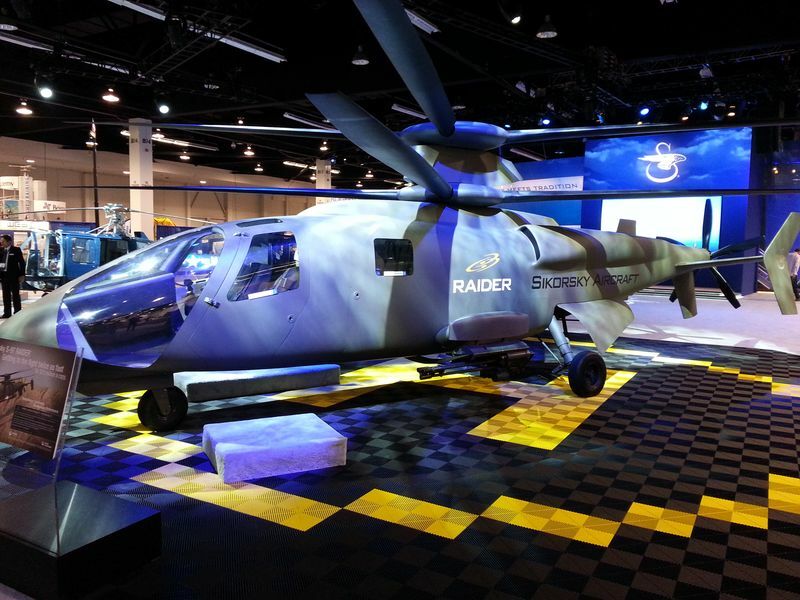 From cleaning supplies, flight simulators, instruments all the way up to huge helicopters, there was pretty much nothing left out. 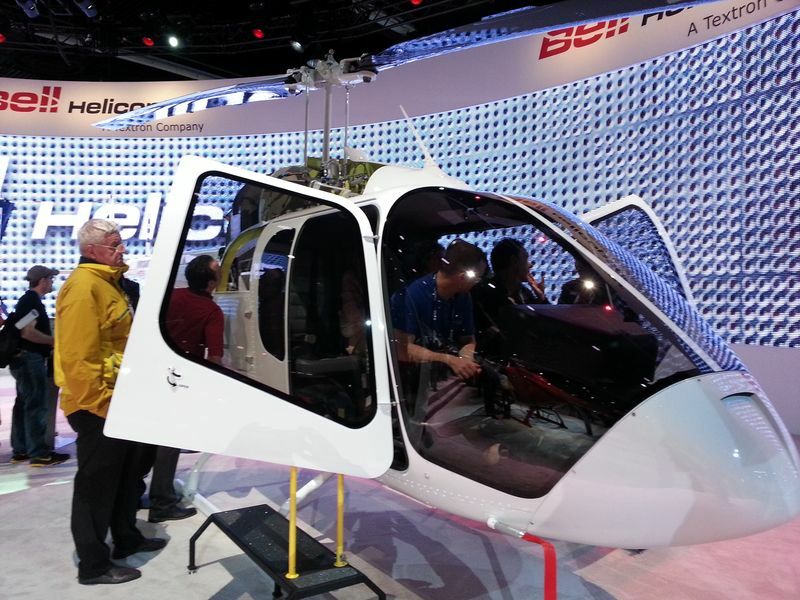 One of the most interesting things to look at was the new Bell 505 Jetranger X and the Cabri G2. 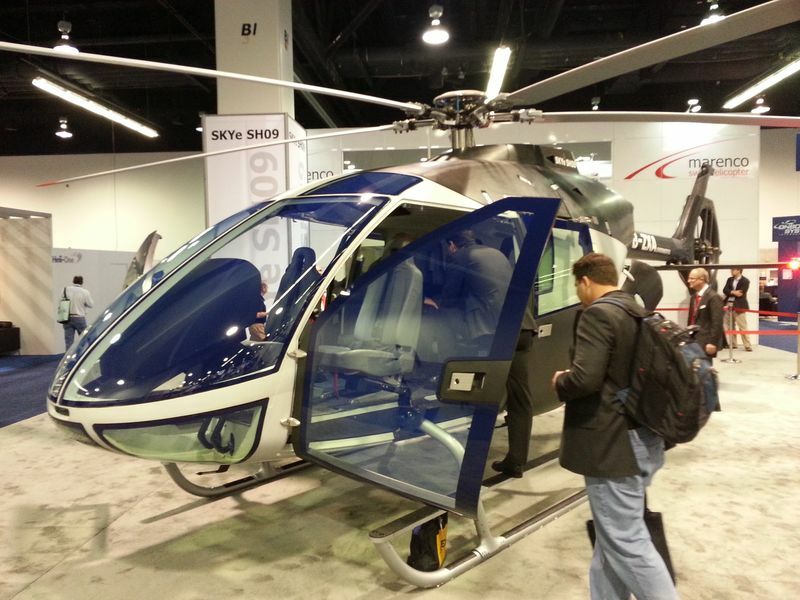 We saw the Cabri a couple months ago so we were familiar with it and were more interested in the Jetranger 505 X. 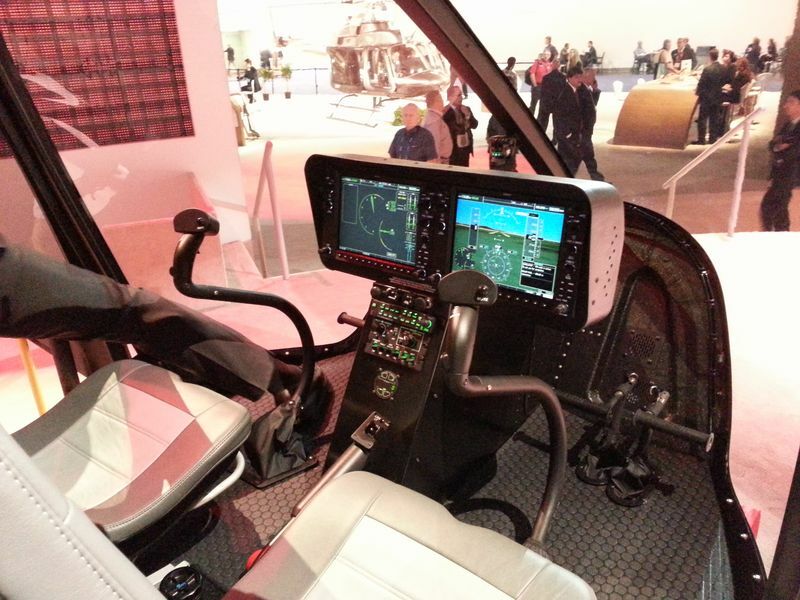 It is a very beautiful new design which uses some of the parts from the older models like the rotorblades. 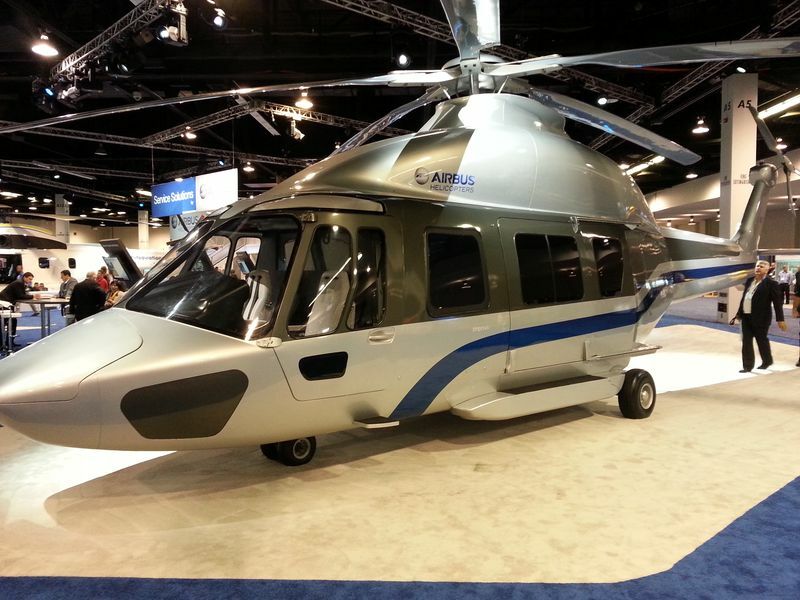 A big part of the helicopter is new though, like the structural part, the flat floor cabin and the turbine. The most remarkable thing about it is definitely the open cockpit. 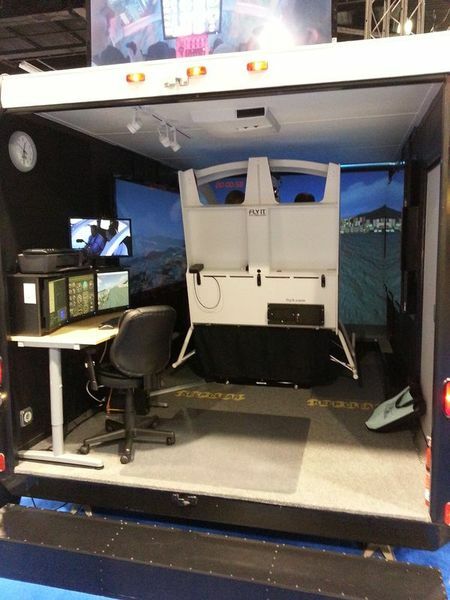 It reminded me a little bit of the Airbus Helicopters EC120 setup. 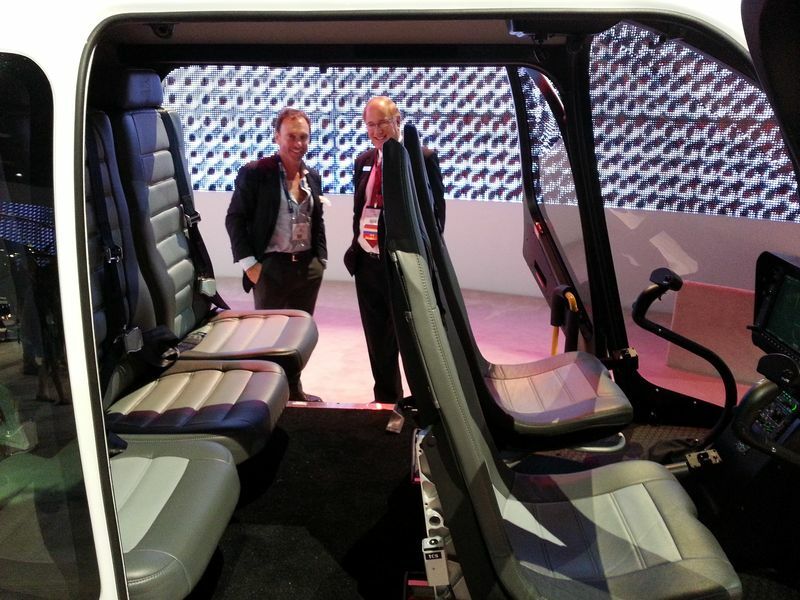 It is possible to remove the seats and floor which then reveals attachment holes where you can secure cargo or other equipment. It is easy to get in and out. I was sitting in the back with two other adults and there was still some room left. So it is a full 5 person setup. I just hope it will be available for a suitable price in a couple years. 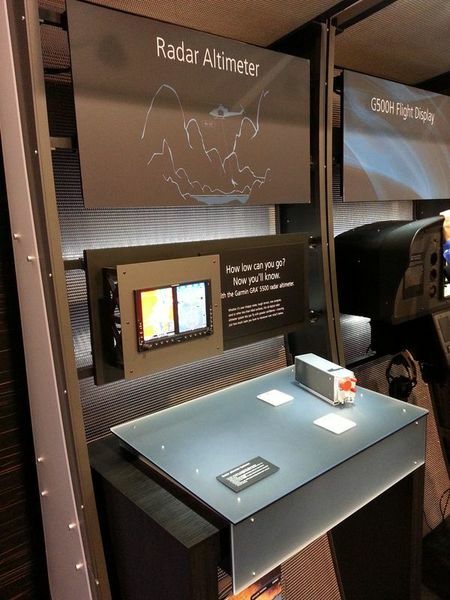 Most likely it will be available in 2016. After four days of intense helicopter courses and exhibitions we were looking forward to sleeping in our own beds again. 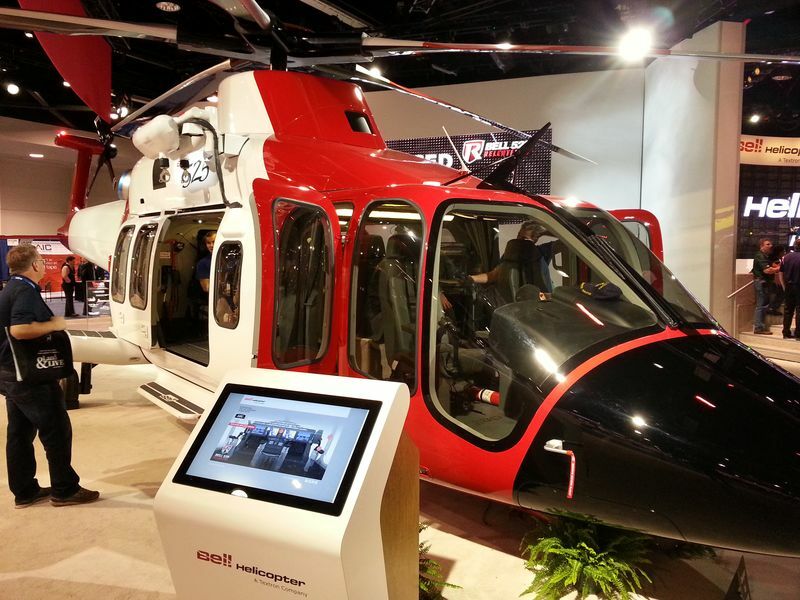 Here are now some photo impressions from the Heli-Expo 2014.